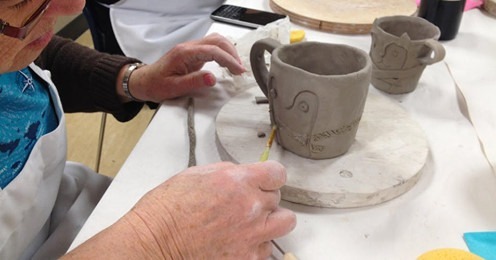 This is a fun and easy two-hour class of guided instructions to help create your very own mug. It is beginner level with no previous experience required and you will use various clay hand-building techniques to craft a true one-of-a-kind piece of pottery. All pieces will be dishwasher and microwave safe. The workshop fee includes all materials, clay, glazes and firing, tools and equipment as well as munchies. Seats limited to 12.